After showing you how I made this top in my last post, I of course couldn´t wait to show it to you in a proper outfit. I am really happy how it turned out and I am looking forward to styling it in many different ways - maybe even with a black or white longsleeve unterneath for a more fall appropriate look. 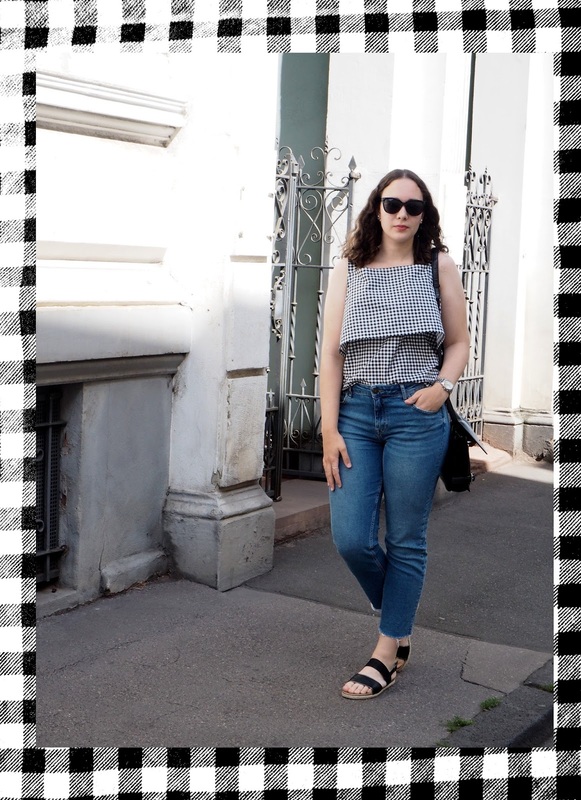 For this outfit, I went with a really simple combination of my current favorite jeans and some black sandals. 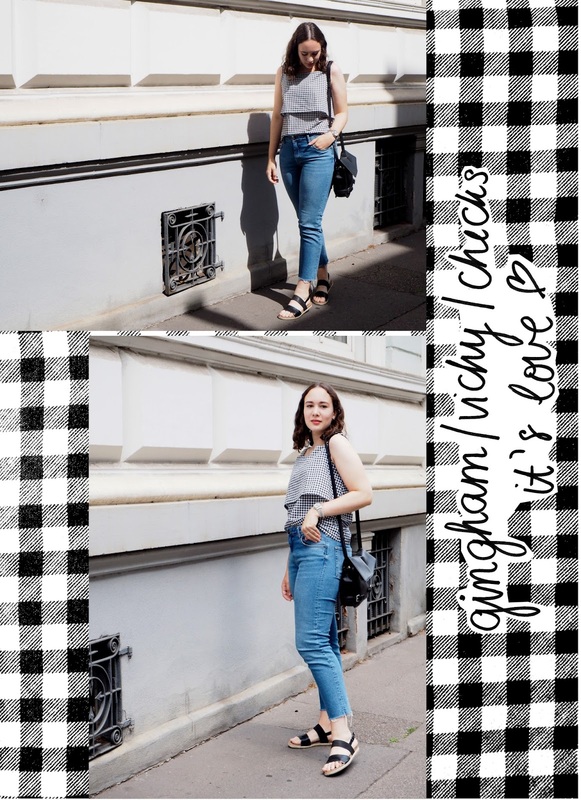 I already talked about these jeans in one of my last posts and I can promise you there are still lots of outfits to come because I could wear them every day. 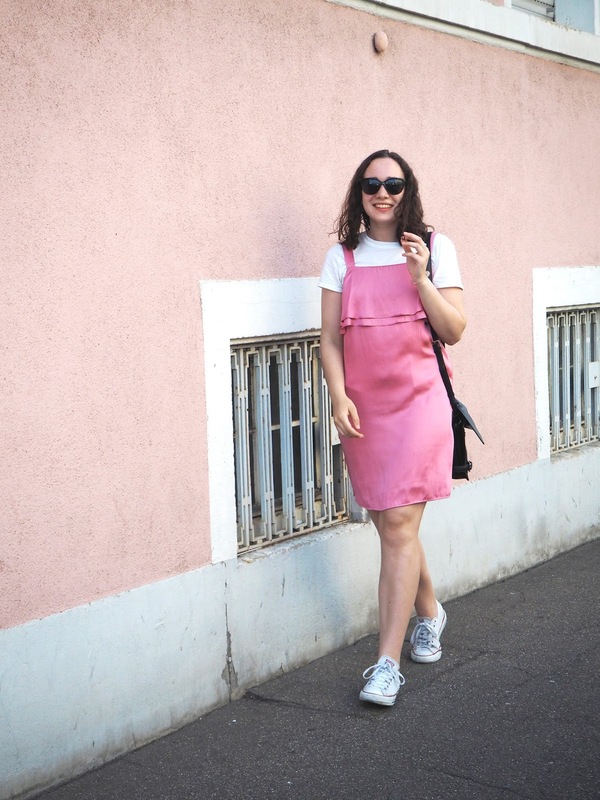 These sandals also have their first appearance in this post. Remember my search for sandals a few months back? I settled on these and they are really comfy while still looking stylish (and currently on sale!). For this post, I also tried a different way to display the images. I would love to add a bit more creativity and personality to the way I present the images for example through hand lettering and maybe some splashs of color similar to how I did the Munich Travel Guide. I am really proud of the Munich post because I put some much time and heart´s blood in it, however, it does take a lot of time to prepare every single post like this. So I guess we will see how these plans work out in the future. What do you guys think about displaying my photos in an alternative way with some typography? Do you prefer it over the usual way or couldn´t you care less? And I like how you did the Munich post and this one with the pictures and typography! Is this your handwriting? Looks really cool! Oh yes,same here! I love gingham as well - it just goes with anything. Yes, it´s my handwriting. Thanks so much for your feedback. I will defenitely try to edit my posts like this more often. 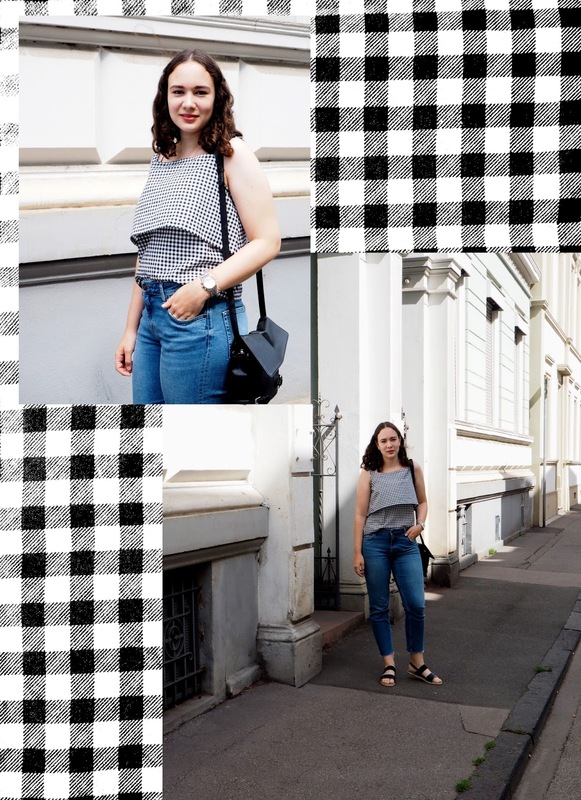 der Look gefällt mir echt super - tatsächlich habe ich auch erst ein Gingham Top mit einer Hose von BDG getragen :) Leider bin ich jedoch nicht so begabt, dass meins handmade war ;) Besonders gut gefallen mir bei deinem Post außerdem die Kollagen! Freut mich, dass dir die Collagen gefallen - werde ich demnächst öfter in die Posts integrieren.